What will you give on Giving Tuesday? Over $11.2 billion spent. Participation up 26% over one year ago. These, of course, are figures from Black Friday, America’s post-Thanksgiving holiday shopping tradition/abomination (depending on your point of view). Our nation’s retailers make one fifth or more of their sales in the last two months of the year, and our sluggish if improving economy means many of us hope to score the kind of big bargains holiday sales offer. November 27 is the first annual Giving Tuesday, and the National Low Income Housing Coalition is participating by asking those with the means to give back with a donation that will support our work to end the housing shortage for the lowest income Americans. We hope Giving Tuesday will garner lots of attention for the important work of charitable organizations across the country and the very real problems we are trying to solve. And we hope you will join this national day of giving, too, through a donation or by volunteering your time. We also hope you’ll spread the word. If you choose to give to NLIHC on Giving Tuesday, here are some ideas for Twitter and Facebook posts you can share. I’m supporting NLIHC on #GivingTuesday because for every 100 extremely low income renter households, there are only 30 affordable units available. NLIHC is working to change this by advocating for socially just housing policy. 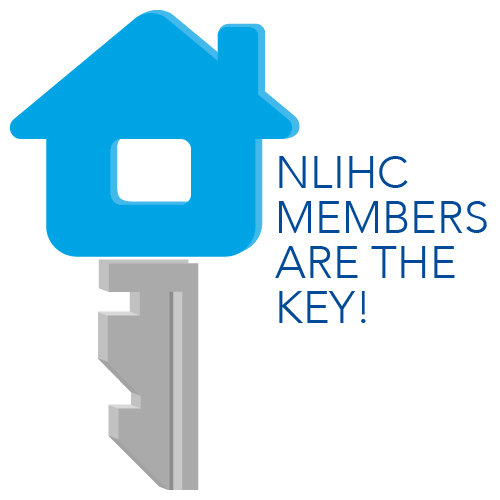 Visit http://nlihc.org/donate to join me. Are you participating in Giving Tuesday? Tell us what you’re doing to give back in the comments!